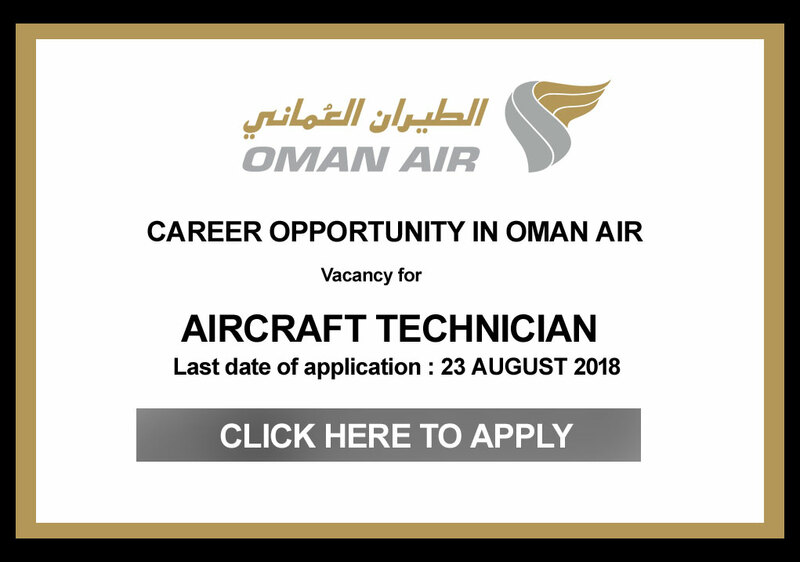 For Non Omanis any one of the above with 04 years’ experience as Technician – Aircraft. 4 years? experience as Technician ? Aircraft. 1.Responsible for provision of basic ground handling services to all Company and contracted parties as per maintenance requirements. 2.Ensure to follow instructions issued by Lead/ Charge hand and carry out the work as required. 3.Ensure that all manuals and publications are maintained in good order and kept up to date to the last revision. 4.Ensure that all tools and equipment used are operated correctly, safely and maintained in good working condition, update tool list as per EPM. 5.Responsible for tool control of tool box in his possession report any missing tools as per EPM. 6.Record and maintain respective records for all maintenance work carried out. 8.Maintain a current permanent record of tools and equipment in accordance with procedure. 9.Assist in the training and development of Omani National staff placed under his control. 10.Report any unserviceability of equipment or tooling or occurrences, to his Charge hand. 11. Carry out Aircraft Maintenance and rectification work and responsible for carrying out certification of his own work as directed by approval holders/ immediate reporting personnel’s. 13. Ensure that self and subordinates use proper protective gears to avoid any causality. 14. Maintain and record of all maintenance work carried out by him in detail. 15. Check to ensure that all tools and equipment used are operated correct, safe and are maintained in good working condition and report any unserviceability of equipment or tooling or occurrences to Lead Technician / Engineer / Senior Engineer – Cabin in order to take necessary rectification. 16. Maintain a record of tools available in the toolkit with adequate serviceable tools, engraved with their identification and a permanent list of the tools available in the toolkit as per the EPM Vol. 2 – Procedure 20.